I usually like to set a screensaver for my desktop provided it’s not too funky or mesmerizing like pipe structures, bricks or something similar. 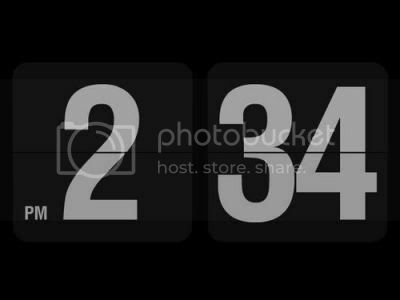 I prefer a clock screensaver to any other. I was searching for some good ones over the net and I got hold of some, I thought of sharing them with you. So, here they are. Hope you like them. 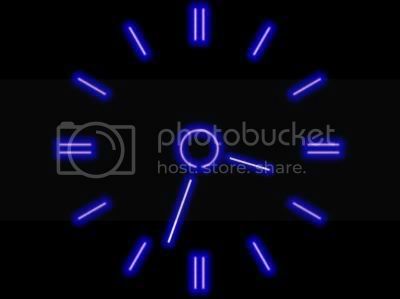 The Raylight clock is a radiating clock which changes it color every minute. It’s pretty colorful, you’ll never get bored looking at it. 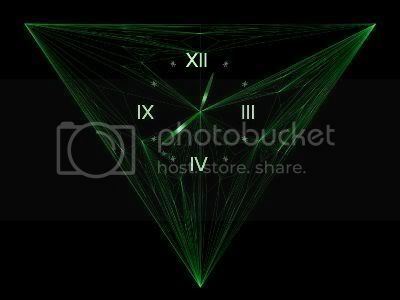 The Emerald Clock’s face is weaving from delicate emerald guiding threads, each symbolizing our connection to other people. It does not matter where these people reside, as soon as we recall somebody in our heart we could instantly resume our relations. The Emerald Clock will help us to keep visible and invisible contacts with all our friends. The Polarclock is not only a clock, it’s something more than an ordinary clock. You can also view day, date and month part from time. Everything’s moving in circles. This clock glows bright with neon colors. Just turn of your room lights and have a look at it. It looks really awesome. You won’t even realize that it’s your monitor that’s showing it. 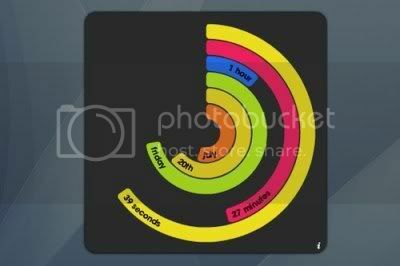 This clock is similar to the score boards that you see in cricket, football and other sorts of games. Time changes “pata pata” just like scores. 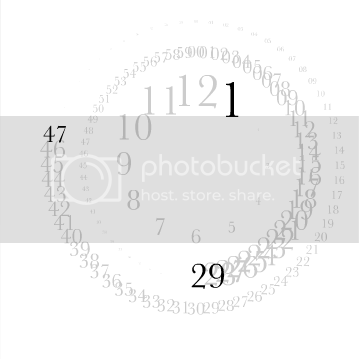 Analogy is a typographic clock which fuses the immediacy of digital with the visual-spatial quality of analogue into a hybrid format. It presents an everyday object with a fresh twist. 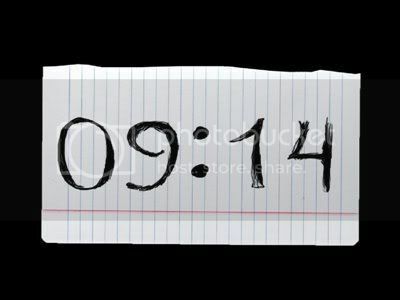 This clock shows time on a notebook page, good enough to remind us of those frenzy days at school. 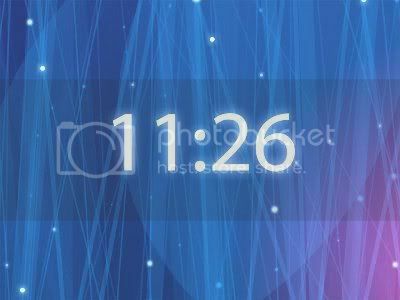 Dropclock is an aesthetically intriguing motion clock screensaver. 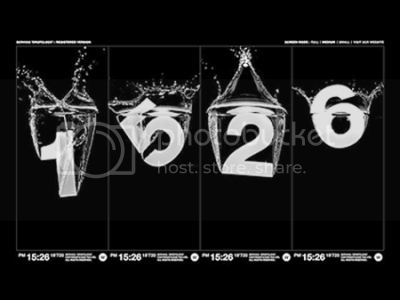 Every minute of real time is numerically expressed with heavy helvetica dropping into water in super slow-motion. Free to try on your Windows or Mac OS. Check out the below video to see it in action. In this clock you can see a man keeping brick when time changes every second. Look’s pretty cool. You might have heard of voltmeter being used for reading voltages but this voltmeter reads time. The upper long hand measures seconds. S indicator means Seconds as well as Serenity. You can easily feel it’s effect with light electrical waves at your third eye area. Every second passed with this futuristic device extends the probability of afflatus in the nearest future. 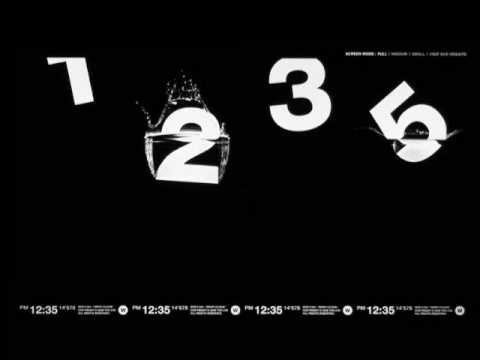 The bottom Right hand shows Minutes. M sign means Minutes as well as Mind. It’s harder to feel the impact of this indicator physically but its influence is even deeper. Each minute passed with this clock can rise our intuitive skills and can also help us to take the Right decisions especially when we don’t know exactly what to do. The bottom left indicator with H mark means Hours and Heart as well. It has positive influence on our Heart chakra. It’s capable to harmonize it to the higher extent with the boundaries we can limit ourself.